One thing that I have kept hearing over and over again throughout the last several months is the phrase "count the cost". 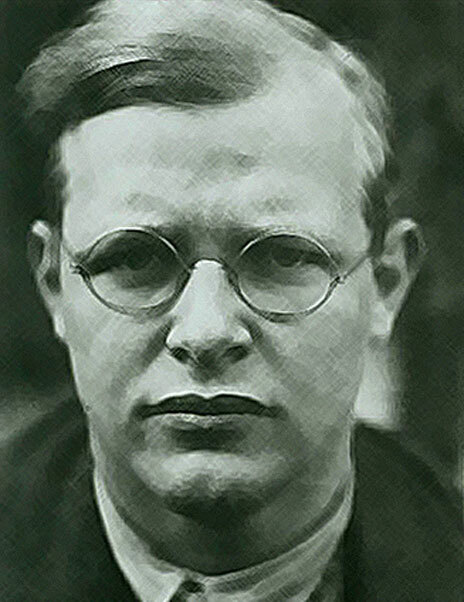 Of course, this phrase is often associated with Dietrich Bonhoeffer from perhaps his greatest work The Cost of Discipleship. This is not the first place we see this phrase used however. Jesus commissions us in Luke 9:23-25 to take up our cross daily and follow after him. If I would follow after Jesus and be his disciple, I must die to myself and carry my cross daily. Counting the cost of following him must therefore be taken with solemn and courageous hearts. Jesus offers a life of suffering and trial, not a life that is carefree, but he does promise that he will be with us as we walk that road. So the question begs an answer. Am I counting the cost? Jesus commands that I give up everything to follow him. I must be able to say with Paul that "everything is but loss, for the sake of Christ." Do I see the worth and beauty of following Christ? Am I willing to give up everything on this earth for him? Heavy questions to ponder and consider. The eternal life promised far outshines any earthly gain or wealth that can ever be attained here in this temporal existence. This life is fleeting and will pass away, but life eternal will never fade away. How could I ever trade the glorious riches of eternal life in Christ for cheap and fleeting idols that only weaken and destroy? Yet, the tragedy of this is that, often I do drink out of broken cisterns that hold nothing. May it never be, that I would trade what Christ has paid for with his own blood, for empty promises that broken cisterns offer! A life filled with pain and suffering would be worth the cost if it meant spending eternity in the glorious presence of my God! A life of sacrifice would be worth it if it meant that I had the joy of heaven to cast my vision toward! Jesus, give me the courage to deny myself, to walk the hard road, and to follow after Thee; to gladly share in Thy suffering, and truly count the cost of following Thee as a disciple. Excellently written, Tyler! I understand your point and applaud your struggle. But we are also called to find joy in our lives (not "happiness" but joy) and God provides many good things for our enjoyment. I don't think everyone is called to the sacrifice that Bonhoffer made, though Christ calls us to be willing to make it if we are. I, too, admire Bonhoffer and his life as testimony to his faith. But God has called me to a different purpose. We will be who God has called us to be. I agree. We each have our own calling, but I was just trying to say that we need to be willing to give up everything for Christ, even in small ways. Thanks for sharing our thoughts! Sometimes reading Bonhoffer is really intimidating to me. I have to stop and remind myself that "They also serve, who only stand and wait."